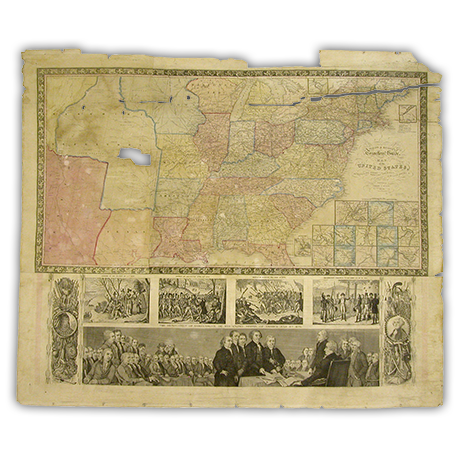 This hand-colored map of the United States had become torn in numerous places. 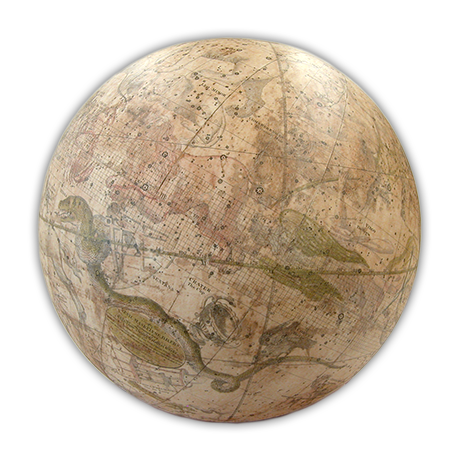 After cleaning the layer of dirt on the surface of the map, our conservators repaired tears with Japanese tissue and filled paper losses with liquid paper pulp. 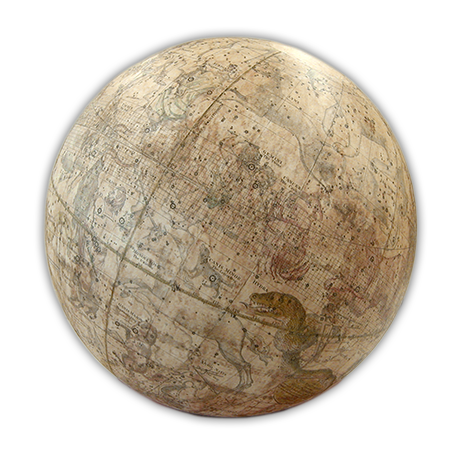 Ink losses resulting from paper damage were inpainted to improve the appearance of the map. 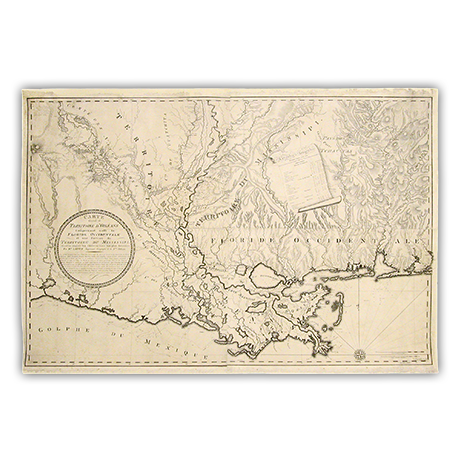 This large map of the Louisiana Purchase Territory was published in four sheets, and one of the four sheets was in a worse state when it came into our lab. 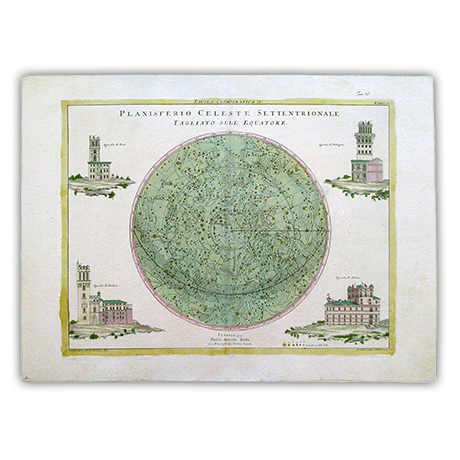 The weakened and moldy section on the upper left needed cleaning and repair to make it match the other sheets more closely. 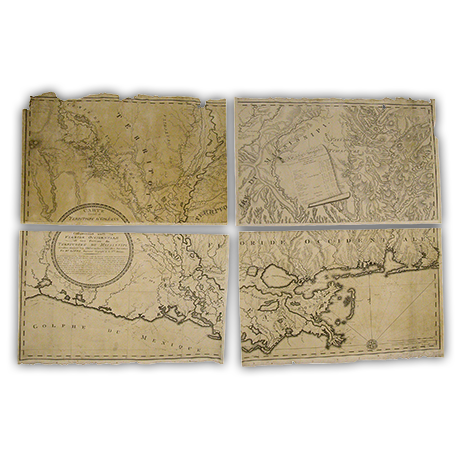 The sheets were then attached in consultation with the client to create a single, full map. 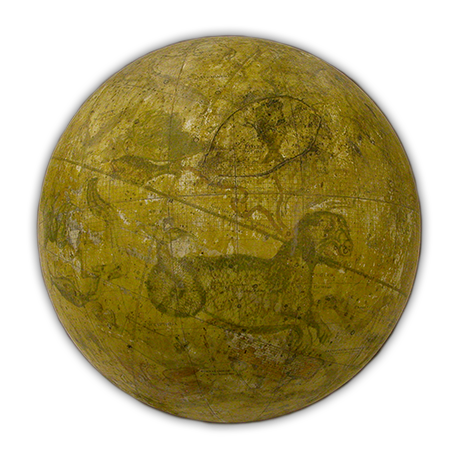 This celestial globe illustrating the constellations was in poor condition when it arrived in our lab. 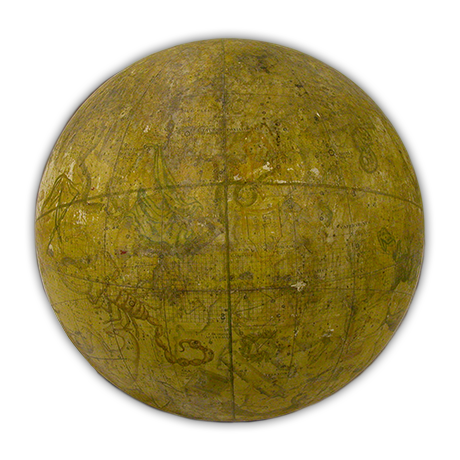 The varnish covering the globe was turning yellow and flaking off, exposing the paper below. 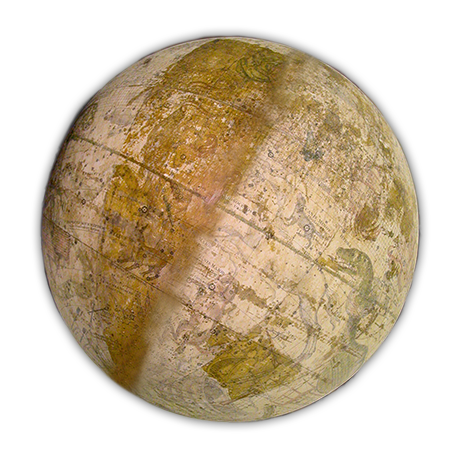 By removing the varnish, our conservators restored the color and clarity of the original design. 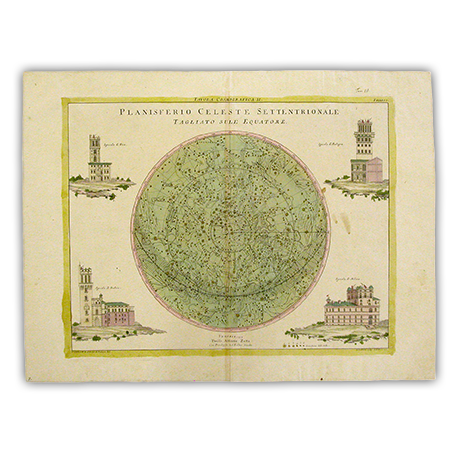 This bookplate required cleaning to remove the layer of dirt and food splatters that obscured the color and detail of the celestial map underneath. 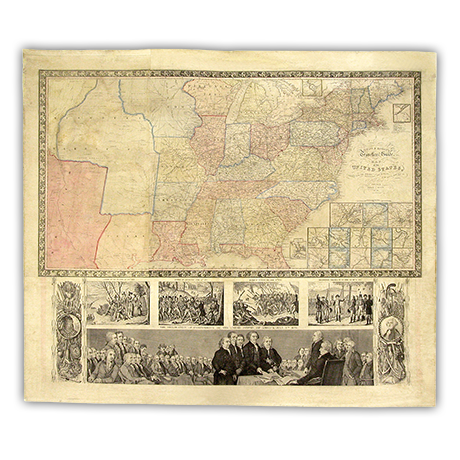 Our conservators also treated the central fold to reduce the crease in the middle of the map. 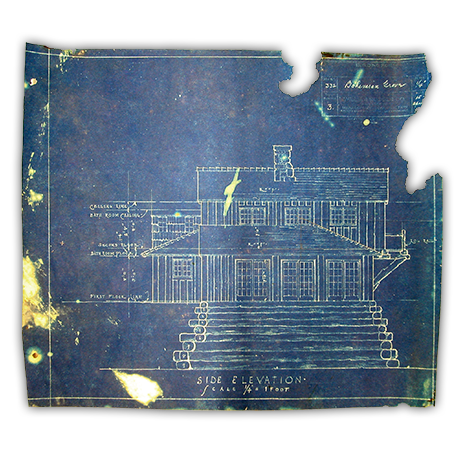 Buried under heavy layers of dirt and insect debris, this blueprint required a thorough cleaning using multiple methods. 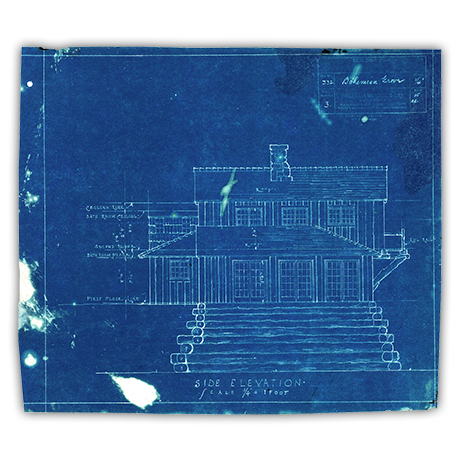 In addition to being dry cleaned and washed in filtered water, this blueprint was treated with an alcohol solution to neutralize the possibility of further insect damage. 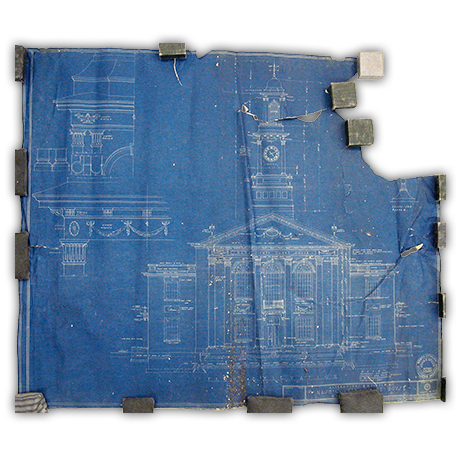 Tears and wrinkles were then fixed and the large section of paper that had torn off was filled with matching blueprint paper provided by the client. 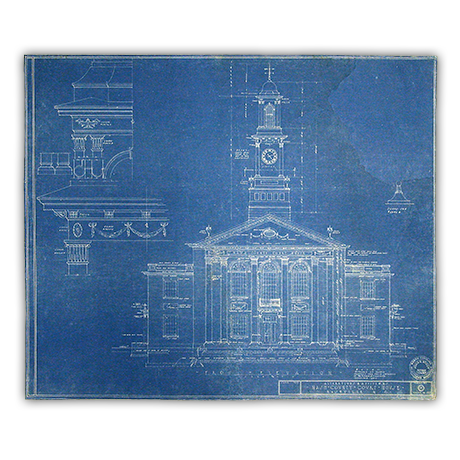 This blueprint from 1929 encountered a great deal of damage throughout the years. Our conservators removed the print from its backing in order to clean it and repair the pinholes and possible rodent damage in the upper right corner. The light colored stains and folding creases were also treated and reduced.